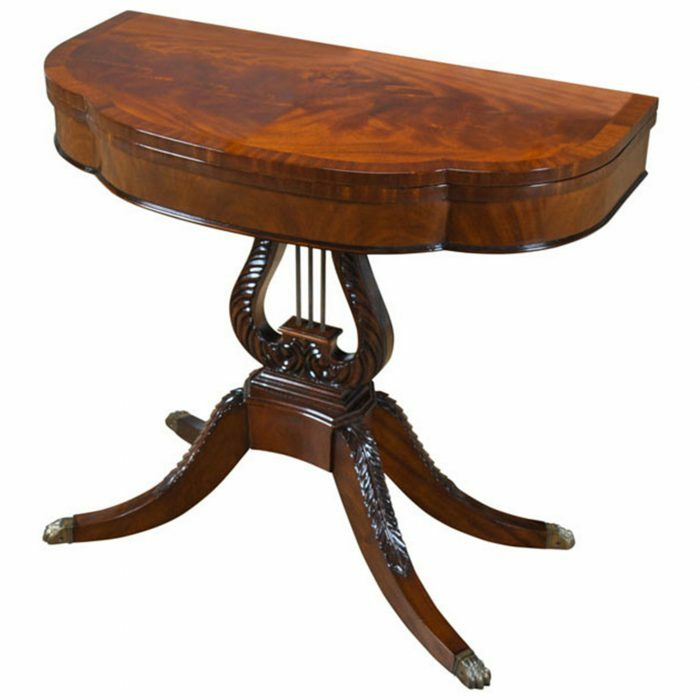 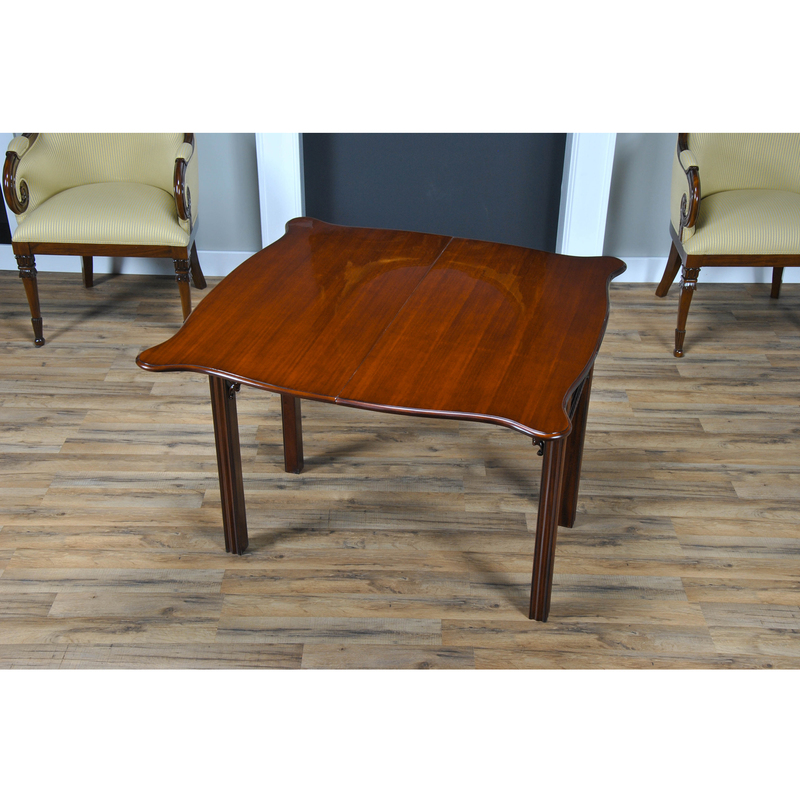 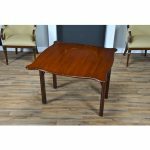 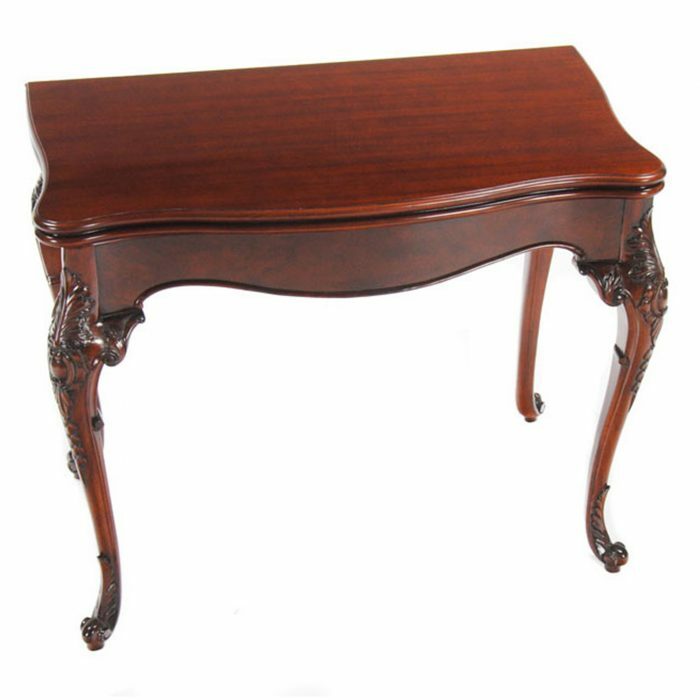 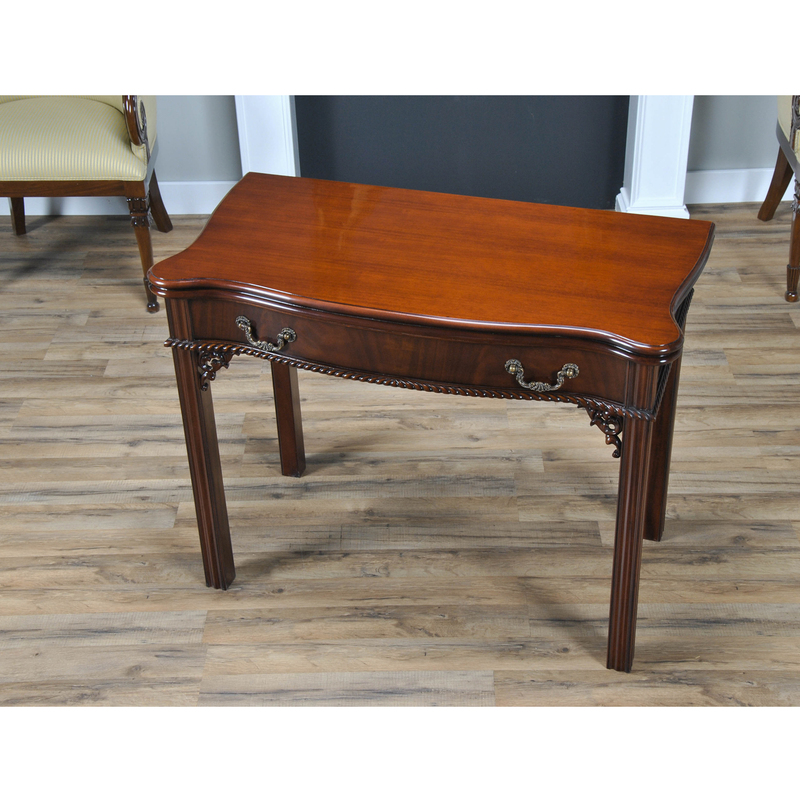 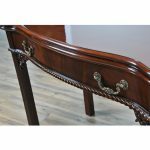 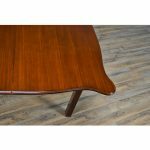 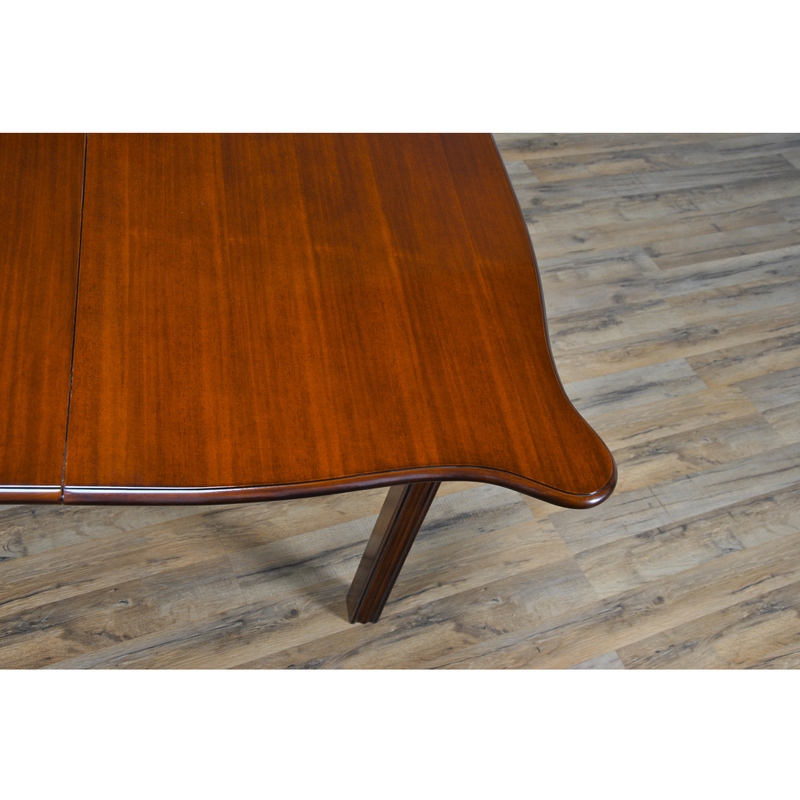 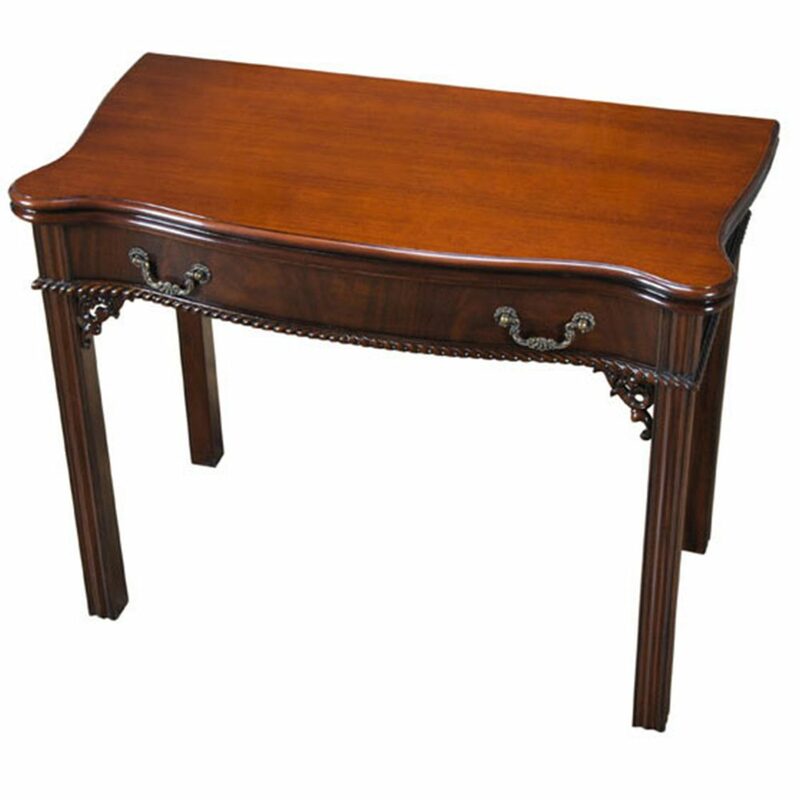 This large straight leg Mahogany Chippendale Game Table has a serpentine top with figural mahogany grain and a crisply moulded edge. 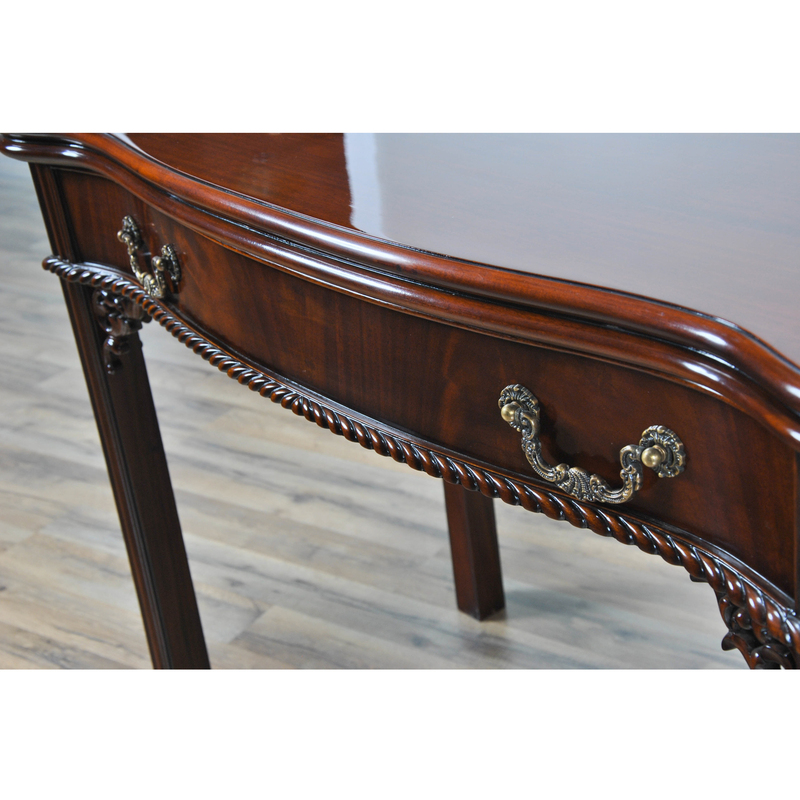 The flamed veneered frieze with high quality rococo style hardware and fine gadroon carving sits above pierced and scrolled leaf brackets on straight fronted, solid mahogany chamfered legs. 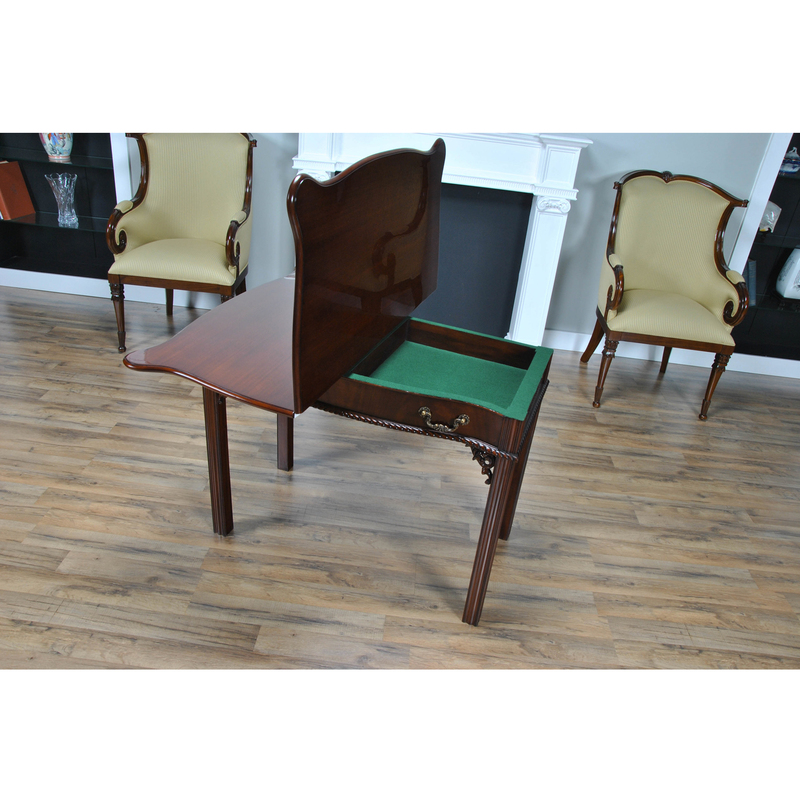 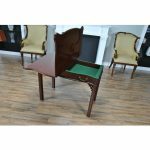 The entire top section of the Mahogany Chippendale Game Table can be turned on a pivot and opened to reveal a green felt lined storage space to the interior, ideal for storing playing cards. 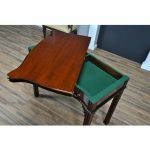 With the accordion top opened and supported lengthwise on the table frame a large gaming or eating surface can be created.